The Stuart Agency and Christopher Rhodes are both beyond thrilled to announce the sale of Aimee Nezhukumatathil’s illustrated collection of nature essays, WORLD OF WONDER, to Milkweed Editions! In WORLD OF WONDER, award winning poet Aimee Nezhukumatathil invites us along for an exploration of the natural world unlike anything we’ve ever experienced. Through bold, lyric essays this highly accomplished poet and naturalist unveils the mysteries of the world just beyond our fingertips. She discusses little-known animals, plants, and natural phenomenon in the context of her unusual childhood growing up on the grounds of mental institutions in rural America; navigating the parent-push towards science while finding herself drawn toward language; and parenting in a digital culture that rewards isolation. Through Aimee’s detailed and delightful observations about the many oddities and fascinations of our planet, we are asked to look at the universe and ourselves through a convex lens. Aimee writes with three cultures looking over her shoulder – Indian, Filipino, American – providing her writing with a fusion of culture and customs unique to her experience but familiar to us all. Throughout the collection, Aimee serves as interpreter, investigator, and historian, and draws from her own experiences to demonstrate how we can be situated without being rooted and how we can travel without getting lost. 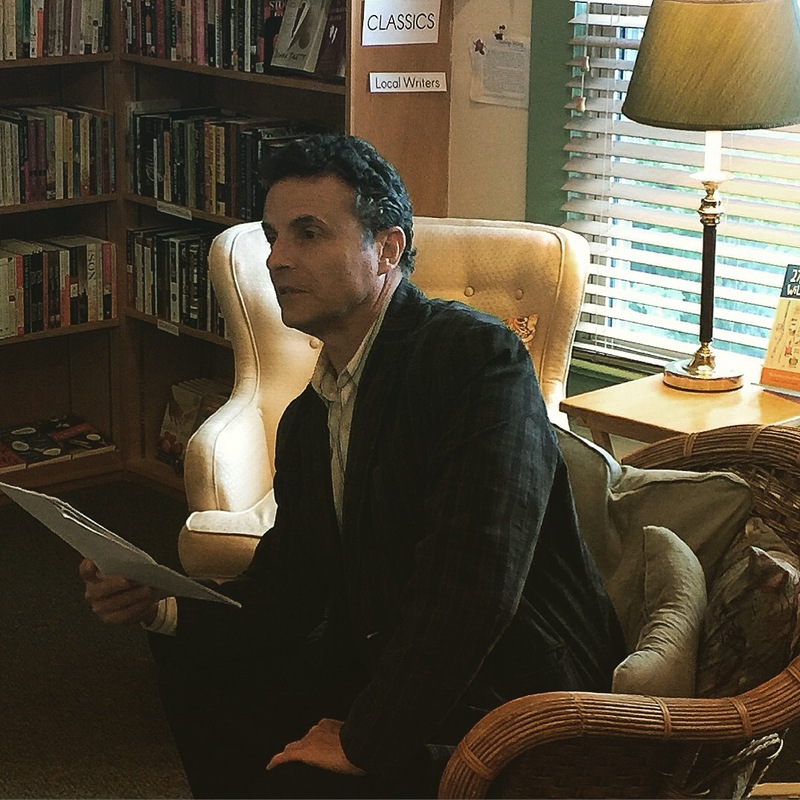 So delighted to have the talented Peter Selgin in town to read from his transcendent memoir The Inventors. Wilmington’s favorite bookstore, Pomegranate Books, was packed. Thanks Peter and good luck on the rest of your tour! Andrew Hilleman’s World, Chase Me Down doesn’t publish until January 24, 2o17 but these advanced proofs give us a great sneak peek! Check out the endorsements from Daniel Woodrell, Kurt Andersen, Ron Hansen, Mary Doria Russell, Timothy Schaffert, Ann Weisgarber, Elizabeth Rosner, Jonis Agee, Brent Spencer, Mary Helen Stefaniak, and The Stuart Agency’s own Taylor Brown! [World, Chase Me Down] is an adrenaline-fueled, page-turning suspense novel that resurrects a forgotten American folk hero who captivated the nation as an outlaw for economic justice. Once the most wanted man in America, Pat Crowe, an out-of-work former butcher, commits the first great crime of the last century: the revenge kidnapping in 1900 of the teenage son of Omaha’s wealthiest meatpacking tycoon for a ransom of $25,000 in gold. The manhunt that ensues finds him burgling, safe-cracking, and bond-jumping his way from Omaha to Butte, Montana; Columbia, Missouri; Nogales, Arizona; New York City; London; Durban, South Africa; Philadelphia; and ultimately back to Omaha, where he turns himself in, reunites with the woman he never stopped loving, and rallies public sentiment behind him in a triumphant circus trial. Yeah. You’re going to want to read this. We are loving the paperback design for Taylor Brown’s Fallen Land! Find it in your local bookstores in January 2017. For now, the hardcover makes a great Father’s Day gift.